The Cycling Federation of Belize held the first in a series of Test Race Events yesterday on the Hummingbird Highway as part of its selection process and preparation of the National Team. The event featured a Hill Circuit Race from Belmopan to approximately 1/2 mile from Cave Branch Bridge and return, for three and a half laps, with a return climb to finish on top of the Hill in Armenia Village, approximately 70 miles, for the Elite; and two and a half laps with a return climb to finish at the same spot for Female, Junior and Youth riders. Below are the top finishers for each category. 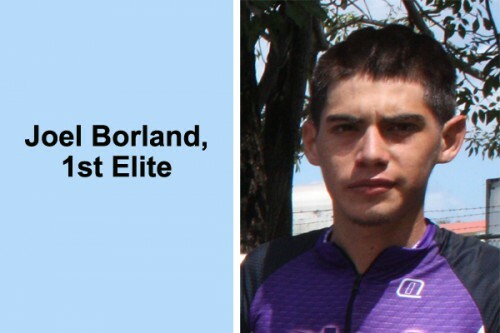 Elite – 1st place Joel Borland (BTL Cycling Team); 2nd Ron Vasquez (Western Spirit); 3rd Peter Choto (C-Ray Road Addikz); 4th Giovanni Lovell (BTL Cycling Team); 5th Byron Pope (Benny’s Megabytes); 6th Marlon Castillo (BTL Cycling Team); 7th Geovanni Choto (Western Spirit); 8th Herman “Hijo” Requena (SMART Cycling Team); 9th Quinton Hamilton (SMART Cycling Team); 10th Gregory Lovell (BTL Cycling Team). Female – 1st place Shalini Zabaneh (Sagitun); 2nd Alicia Thompson (Belize Bank Swoosh). Junior – 1st place Delon Gentle (BECOL Uprising); 2nd Zamir Guerra (Cayo High Road); 3rd Tarique Flowers (Benny’s Megabytes); 4th Zahir Figueroa (BECOL Uprising); 5th Delawn Abraham (Benny’s Megabytes); 6th Philip Mencias (Mando’s Cycling Team). Youth – 1st place Devin Azueta (Cayo High Road); 2nd Michael Grajalez (Mando’s Cycling Team); 3rd Dennis Arnold (Unattached); 4th Darien Anderson (Unattached).